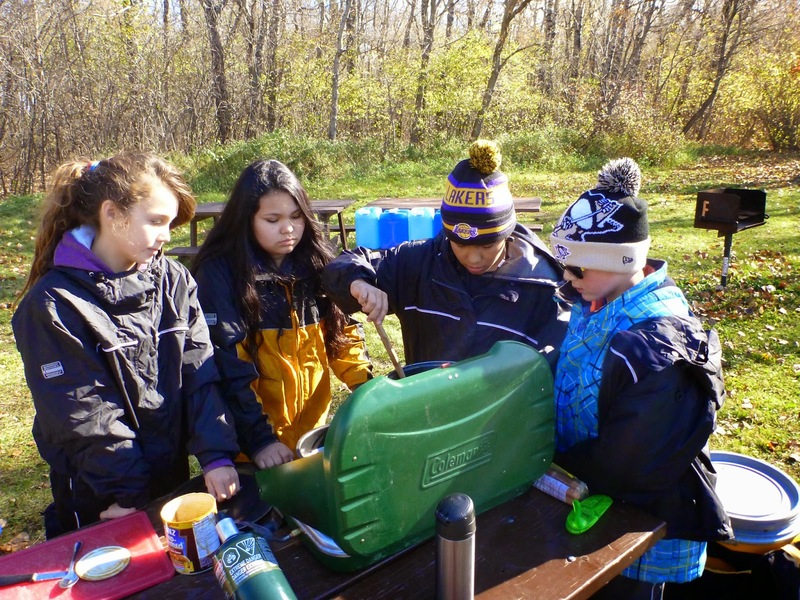 EcoFriendly Sask: Outdoor Learning: "The Absolute Best"
Nikanetan is an experiential education program for students in grade 8. The focus is on teamwork and leadership and is designed to re-engage youth who are at risk of dropping out of school. The program is based out of Westmount Community School. All equipment, transportation, and food costs are covered by the program so money is not a barrier to participation. In experiential learning, students learn by doing and participating. Building quinzhees under different snow conditions is an opportunity to explore structures and how snow works. Shopping for groceries before a camping trip requires mathematics. Chris can’t imagine teaching without being outdoors. “Being outdoors changes the tone, the mood. We know the difference if the students haven’t been outdoors for a while,” he says. Camping takes students away from all the stress of home and city life. Everything is safe – the people, the activities. They have a list of things they’d like to do, but there’s no clock and if they don’t get everything done, it doesn’t matter. Knowing their students’ backgrounds, the teachers don’t tell students what to do. “We tell students what science is saying about the future and then ask them what they can do,” Chris explains. Each student is expected to choose a sustainability project. Their goal is to make an impact with the hope that this will become an attitude that they will maintain throughout their lives. Last year the students raised money for breast cancer and a school in Africa. “They didn’t feel they could have an impact on sustainability, but they could help others who had less than them,” Chris says. Sustainability projects typically involve sharing information with others (e.g. other classes), which also fits with the leadership focus of the program. 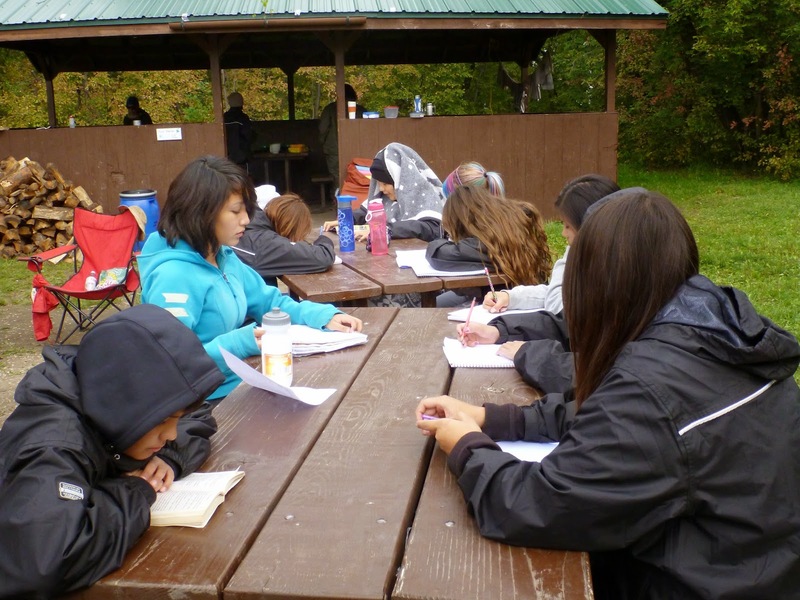 It’s difficult to offer in-depth nature studies – “With 28 grade 8 kids, how many bears do you think there are around? We don’t even hear birds.” – but Chris says that they take advantage of any opportunity that comes their way. Drumming is a chance to not only make music but to learn about the history of drumming, hide-making and animals. On visits to Pike Lake, they observe how the scenery changes with the seasons. 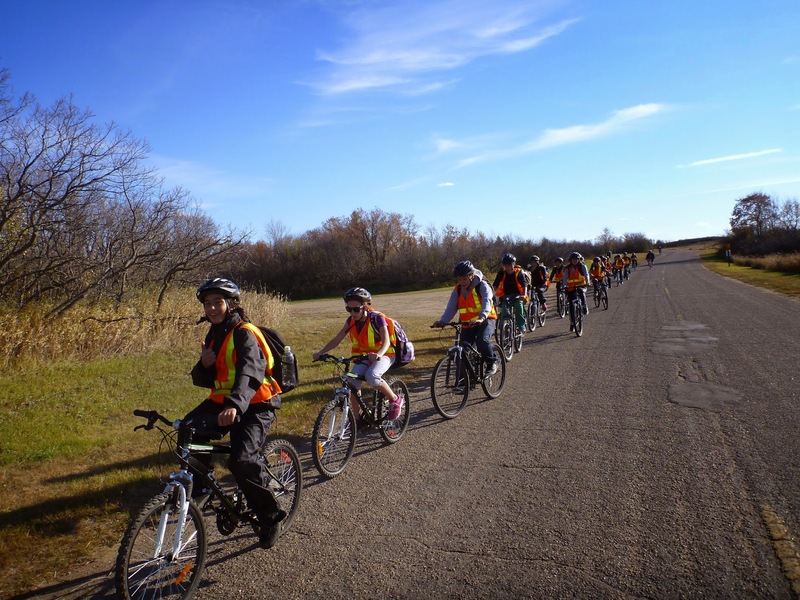 *EcoQuest, another program of Saskatoon Public Schools, is specifically designed to focus on outdoor, ecological activities.